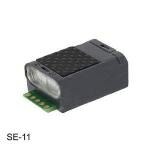 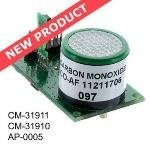 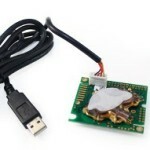 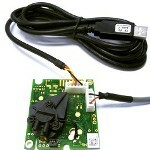 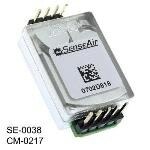 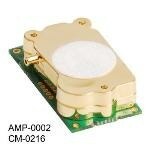 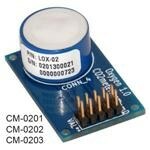 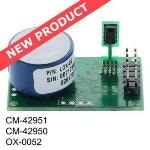 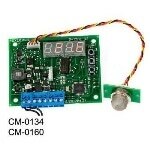 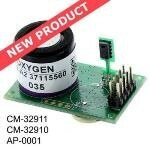 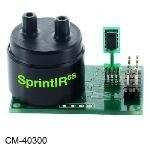 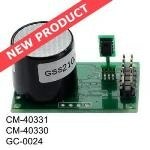 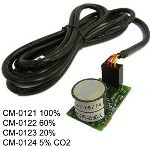 The Sunrise 1% CO2 Sensor (SE-11) is a minute sensor module that was developed for battery-powered applications. 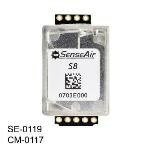 There are many benefits of this tiny sensor; complete control over the sensor's integration into a host system, flexible change of the CO2 measurement period, and power consumption. 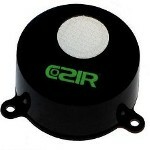 The NDIR CO2 sensor is the first NDIR sensor with LED technology. It saves power while maintaining high precision, giving the sensor a life expectancy of over 15 years and makes it resistant to vibration. 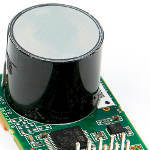 The NDIR Sensor has a built-in, self-correcting ABC algorithm that allows the user to leave the sensor, whilst assuring it will continue to be accurate. 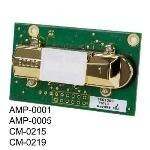 An important function in wireless applications. 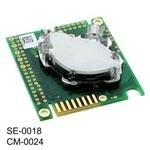 Dimensions are 1.3 x 0.78 x 0.47 in.